Turkey is a great destinations for all-inclusive vacations on some amazing sea resorts. 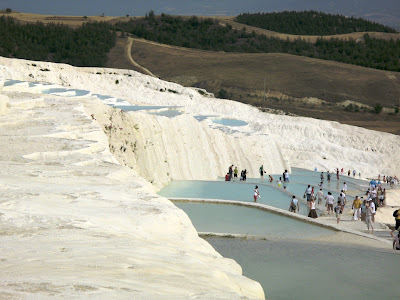 If you are there for such a relaxing holiday you can always do day or half-day trips to popular attractions like Efes, Pamukkale or Cappadocia. 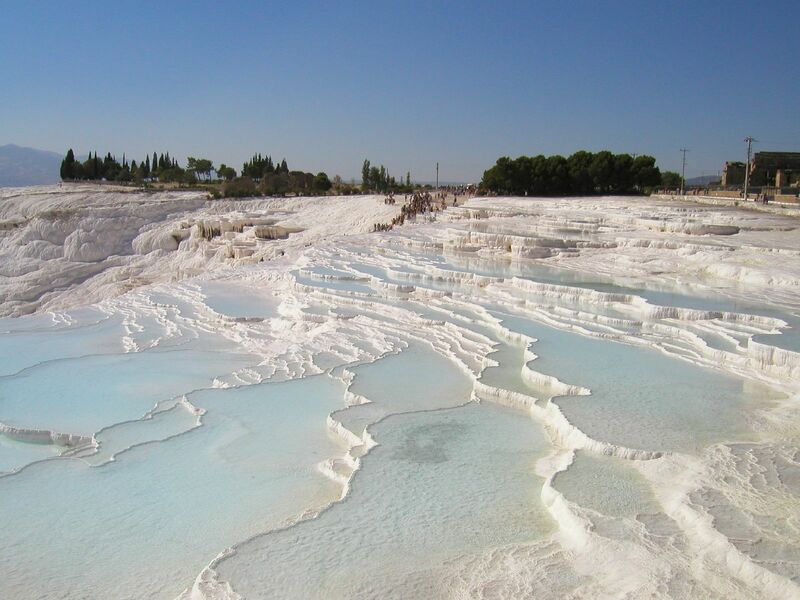 The Pamukkale hot springs are situated on a natural site in Turkey, the meaning of the word is literally "cotton castle". 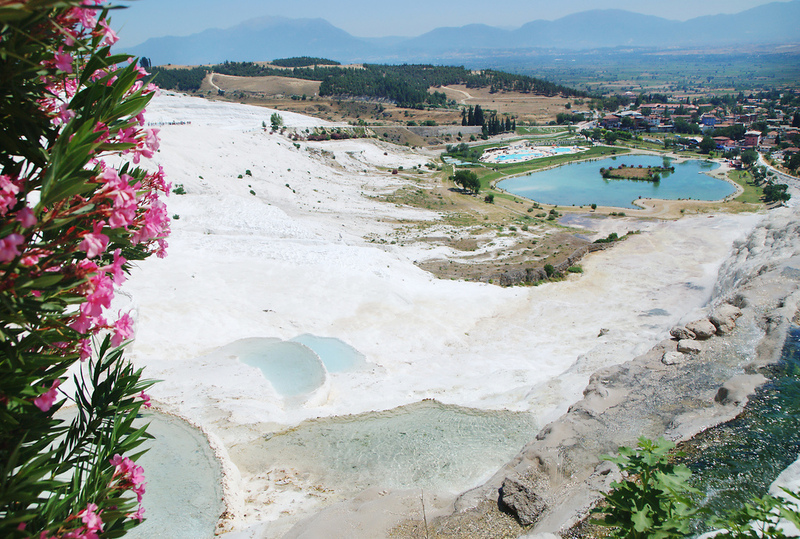 A well-known UNESCO World Heritage Site, Pamukkale consists of hot spring pools and travertine formations situated on white natural terraces of mineral sediments. 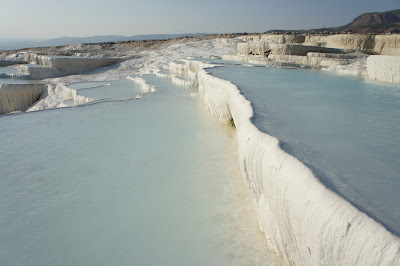 Tourism in the region is a booming industry and people have bathed in the natural pools for thousands of years. Pamukkale is not really a place to describe in many words so a great set of pictures will give you a better understanding of this magnificent place.